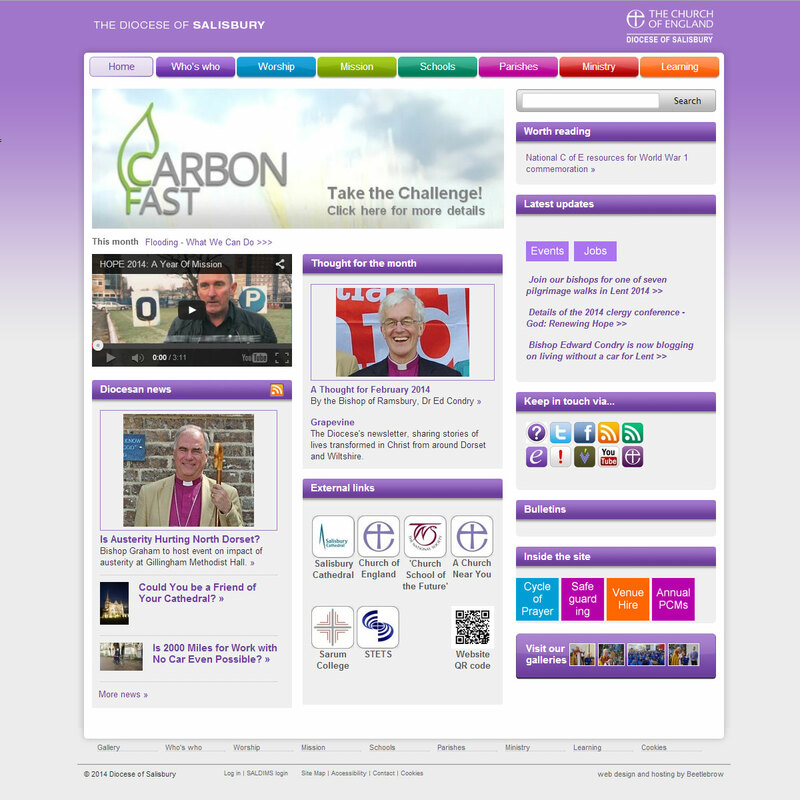 The Diocese of Salisbury had a large, but old-fashioned web site. The content was hard to get to, and difficult to update, and as an organisation, they weren't making the most of their amazing resources. We had built a modern Plone-based, CMS controlled web site for the Diocesan Board of Education, which demonstrated what it was possible to do with a large amount of information, and after a competitive tender, we were chosen to do the same with the main Diocesan site. It soon became clear that the project not only involved upgrading the main site, but upgrading and integrating the Ramsbury Blog, the Sudan Project and the Board of Education's web site that we had built using Plone 2.5. The new site has blogs, multimedia galleries, data integration via XML feed of their main Parish and Schools information, allowing you to search for churches, priests, and Parish information, forums and masses of downloadable resource files. And all of the previously disparate information is now housed in one, easy-to-update web site. Michael Ford, the Diocesan Communications Officer, deserves a huge amount of credit for spending weeks of his time sorting and uploading the data, to help make this one of the best, if not the best Diocesan web site in the UK.